In every society, there are always individuals with the third eye and discerning ability to see clearly what would be the social political future of their land, and to warn people of such pending doom. Those individuals are never silent on their peoples' political plight and continued to speak out against all odds. Due to the accuracy of the messages, most people refer to them as "prophets" or "seers." The government of their lands never liked them not because they have those qualities and acumen, but because they are incorruptible and could imbibe in others the same culture and flame. The leader of the Indigenous of Biafra Mr. Nnamdi Kanu falls into this category. When he gave the message of Fulani herdsmen invasion of Biafra land on Radio Biafra, many people were skeptical if such thing would ever happen. The antagonists termed it "a hate message" and northern Islamic oligarchy understood the implication of their revealed plans and began to call for his head the same way it happened to the ancient Biblical Seers and Prophets before him. The velocity with which Buhari pounced upon Nnamdi Kanu and the Indigenous people of Biafra tells vividly that the Islamic secret and agenda were actually defused by Kanu's prophetic message. They quickly mobilised the sold out politicians and other paid agents who are their willing tools to join them on a media war against Biafra. Nigeria government under Buhari stupendously wasted trillions of public money trying to jam or block Radio Biafra, a project that amounted to an effort in futility! 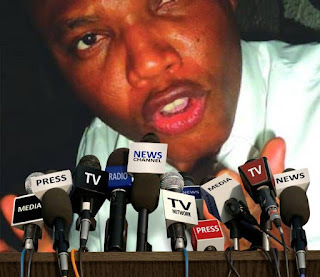 The government's blatant lie that it "had successfully jammed Radio Biafra out of existence" was greeted with ovation among the politicians both in the north and south-west. 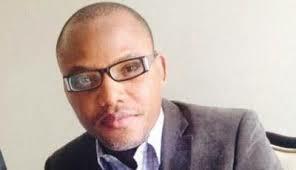 But their jubilation was short-lived when Radio Biafra came on air just a few hours after the deceptive announcement. They were aghast and bewildered, their jubilation came to an abrupt end! Biafra is indomitable! That was our first sign to prove to them our resilience and to send the message that we have come to stay, but Nigeria government would never learn its lesson. The Northen Islamic oligarchy is full of deadly schemes and would stop at nothing to achieve their selfish ends and have actually sent their Fulani militants to attack Biafran right in our own land! But suffice it to say that Biafra is a bone in their throat this time. Their boast of 1967-70 war will not be the same again. If They have forgotten the incident at Abagana sector, they will see greater than that again. If They have forgotten the invention of ogbunigwe - the famous Ojukwu bucket, obviously they will see something more devastating than that. We are definitely living in a more civilised world today than 1967-70 and the Hausa/Fulani Jihadists that are fanning the embers of war should not run or beg for mercy when they see what they are looking for. We are Biafrans!